Gas prices surged by as much as 22-cents per gallon during the past week, according to the latest survey of the Energy Information Administration, a branch of the Department of Energy. The rise in case prices was felt from coast to coast, with prices in the Midwestern states rising the most, over 22¢ per gallon, while the West Coast felt a 13-cent rise in fuel prices. Including California, the U.S. West Coast gas price jumped by over 19¢ per gallon. Across the Northeast and Atlantic States, gas prices jumped an average of 14-cents per gallon, week over week, with the average driver paying as much as $2.25 more per fill-up. The price is based on an average mid-size U.S. car with a 16-gallon fuel tank. If such a driver filled up twice per week, as a commuter, the likely monthly impact of the past week’s gas-price increase would average about $19.48 per month. The prices come on the heels of average weekly gas price increases that have troubled U.S. drivers since the beginning of the year. There have been only a couple of weeks since January 1, 2013 when weekly gas prices have gone down, and such declines have been fairly minimal. Meanwhile, the cost of diesel fuel has continued to increase during the past week, costing independent truckers and other shipping companies more to bring products to consumers. 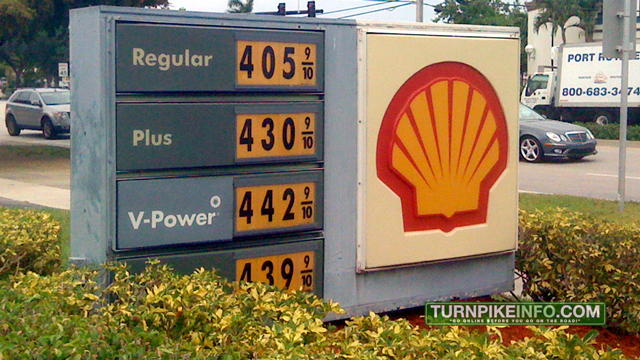 The average price of diesel across the U.S. increased by 10 cents during the past week. Diesel prices have typically outpaced the inflationary trend of regular unleaded gasoline, but this week that trend was snapped. As with regular gasoline prices, the Midwest witnessed the biggest price increase, at over 11-cents per gallon. New England diesel fuel prices went up the by the smallest amount, which was about 6-cents per gallon, on average.